All dishes are made fresh, in house, with many locally sourced ingredients. In addition to our regular menu we offer unique and creative weekend specials. 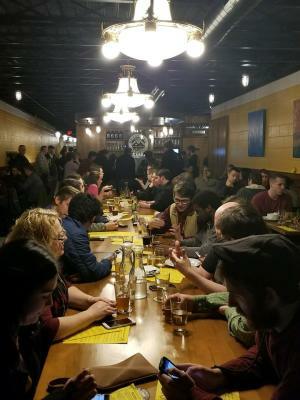 Brass Ring sponsors many neighborhood events and encourages making connections within our community. 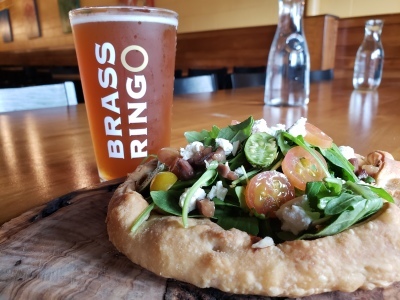 Brass Ring strives for style-specific perfection offering traditional pub ales, porters, and stouts. Tuesday nights are stein night at the Brass Ring. Come in on any Tuesday with a stein and get it filled for just 5 bucks. Cheers! Sunday, April 28, Brass Ring BBQ returns! 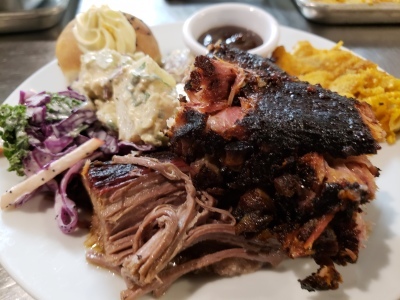 Ribs and Brisket smoked low and slow served with bottomless house made sides. Tickets are $25 and are available at the bar. You Bring the Guitar, a few chords and the Truth and we will treat you to a pint and good Cheer! Every Third Thursday of the Month. 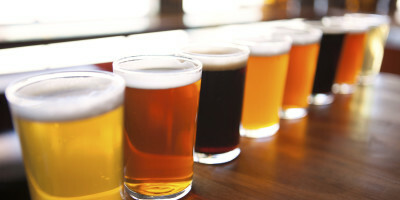 Brass Ring strives to provide an authentic listing of English style pub ales. An important part of this endeavor is to have real ale on cask. We are currently serving our Rock Steady Brown Ale. 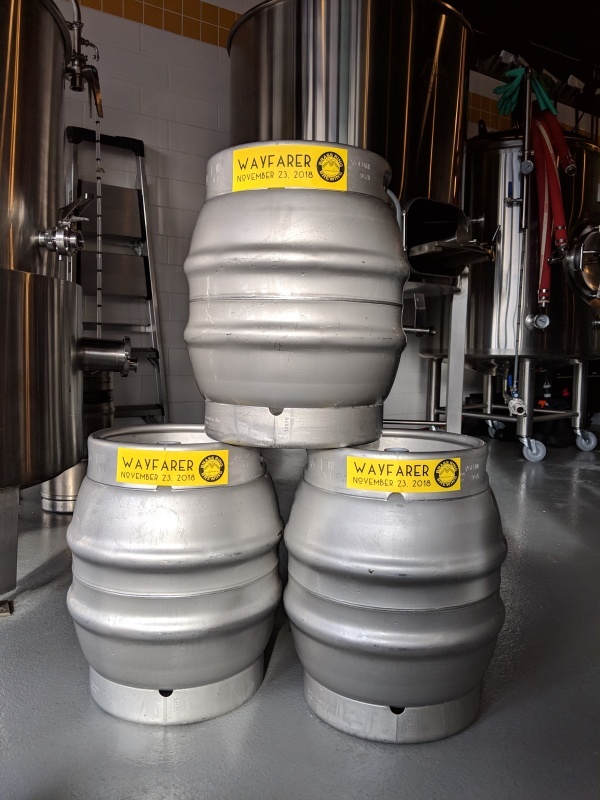 When beer is served on cask it is served slightly warmer and without forced carbonation allowing for a smoother, luxurious malted beverage experience. Our certification by Cask Marque is the first in Michigan and 26th in the United States ensuring that our casks are perfectly conditioned and served. 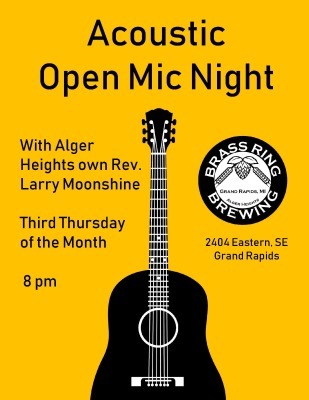 Every Wednesday at the Brass Ring is Neighbor Night! 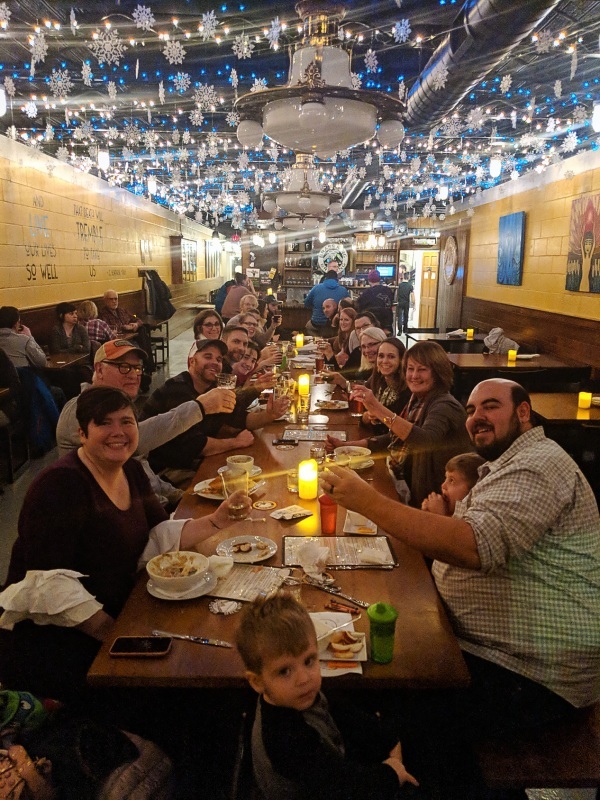 We love to see our neighbors join each other at the community table, make friends, and enjoy great beer and food. Once a week our owners Chris and Karen hand out invitations to a few blocks in the neighborhood which gives them and anyone with a 49507 ID half off their first beer and a brewery tour. Sign your block up here . Brass Ring encourages those who come out to our brewery regularly to join our mug club, the Brass Ring Society! 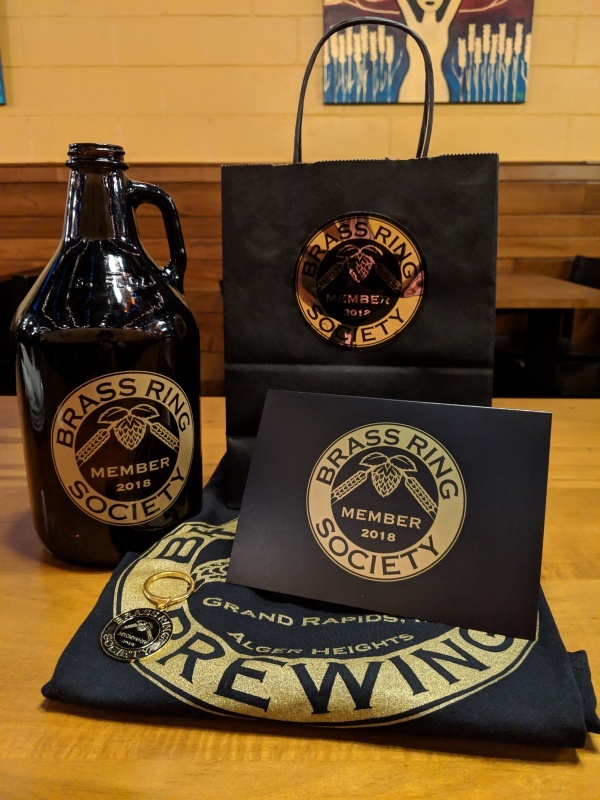 With a Society Membership, members recieve an exclusive growler, t-shirt, sticker, and society pint glass to use while at the brewery. Additionally, members get $1 off all beers, $2 off all growler fills, with food and drink specials targeted towards society members only.